Are three strikes laws constitutional? Gary Ewing was sentenced to 25 years to life under California's three-strikes law for committing felony grand theft after having at least two other "serious" or "violent" felonies on his record. 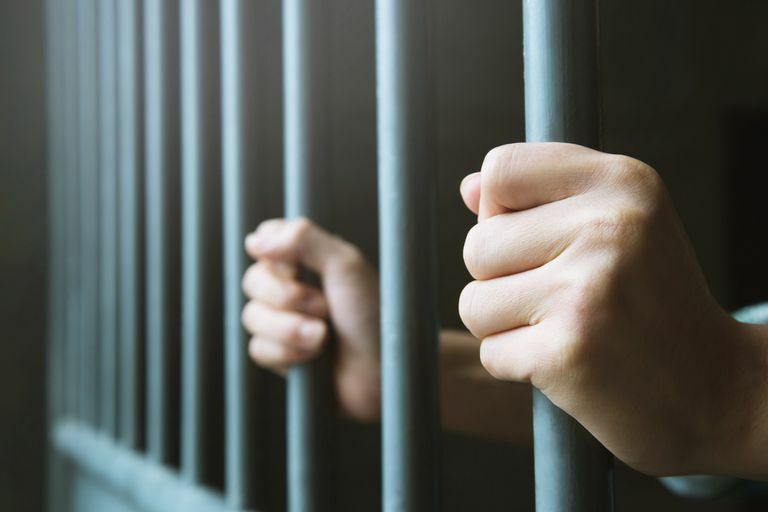 The Supreme Court found that the sentence was not "grossly disproportionate" to the crime under the Eighth Amendment, which states that "Excessive bail shall not be required, nor excessive fines imposed, nor cruel and unusual punishments inflicted." In 2000, Gary Ewing attempted to steal three golf clubs, valued at $399 each, from a golf shop in El Segundo, California. He was charged with felony grand theft, the unlawful taking of property valued at over $950. At the time, Ewing was on parole for three burglaries and a robbery that had resulted in a nine-year prison sentence. Ewing had also been convicted of multiple misdemeanors. Grand theft is a "wobbler" in California, meaning it can be charged as either a felony or a misdemeanor. In Ewing's case, the trial court chose to charge him with a felony after reviewing his criminal record, triggering the three-strikes law. He received a sentence of 25 years to life in prison. Ewing appealed. The California Court of Appeals affirmed the decision to charge grand theft as a felony. The Court of Appeals also rejected Ewing's claim that the three-strikes law violated his Eighth Amendment protection against cruel and unusual punishment. The Supreme Court of California denied Ewing's petition for review and the U.S. Supreme Court granted a writ of certiorari. "Three strikes” is a sentencing doctrine that has been used since the 1990s. The name references the rule in baseball: three strikes and you're out. California's version of the law, enacted in 1994, could be triggered if someone was convicted of a felony after having been convicted of one or more prior felonies considered "serious" or "violent." Are three-strikes laws unconstitutional under the Eighth Amendment? Was Ewing subjected to cruel and unusual punishment when he received a harsher penalty for his grand theft felony conviction? An attorney representing Ewing argued that his sentence was grossly disproportionate to the crime. While California's three-strikes law was reasonable and "could result in a proportionate sentence,” it had not in Ewing’s case. The attorney relied on Solem v. Helm (1983), in which the court had looked only at the crime at hand, and not the prior convictions, when deciding whether a life without parole sentence was cruel and unusual punishment. He argued that Ewing should not have been given 25 years to life for a “wobbler” crime. An attorney on behalf of the state argued that Ewing’s sentence was justified under the three-strikes law. Three strikes, the attorney argued, marked a legislative move away from rehabilitative punishment and towards incapacitation of repeat offenders. The Court should not second-guess legislative decisions to favor different theories of punishment, he argued. Justice O’Connor noted that the Court had issued prior rulings on Eighth Amendment proportionality. In Rummel v. Estelle (1980), the court ruled that a three-time offender could be given life without parole for obtaining about $120 under “false pretenses," under a Texas recidivism statute. In Harmelin v. Michigan, (1991) the Supreme Court upheld a lifetime sentence leveled against a first-time offender who had been caught with over 650 grams of cocaine. Justice O’Connor applied a set of proportionality principles first laid out by Justice Anthony Kennedy in his Harmelin v. Michigan concurrence. Justice O’Connor noted that three-strikes laws were an increasingly popular legislative trend, aimed at deterring repeat offenders. She cautioned that when there is a legitimate penological goal, the court should not act as a “super legislature” and “second guess policy choices." Imprisoning a man for 25 years to life for stealing golf clubs is grossly disproportionate punishment, Justice O'Connor wrote. However, the court must take into account his criminal history, before making a judgment. Ewing stole the clubs while on probation for at least two other serious felonies. Justice O’Connor wrote that the sentence could be justified because the State of California has a "public-safety interest in incapacitating and deterring recidivist felons." The Court did not consider the fact that grand theft is a "wobbler" to be significant. Grand theft is a felony until the court deems otherwise, Justice O'Connor wrote. Trial courts have the discretion to downgrade, but given Ewing's criminal history, the judge chose not to give him a lighter sentence. That decision did not violate Ewing's Eighth Amendment protection, according to the Court. "To be sure, Ewing's sentence is a long one. But it reflects a rational legislative judgment, entitled to deference, that offenders who have committed serious or violent felonies and who continue to commit felonies must be incapacitated." The fact that Ewing’s latest crime was not violent means that his conduct should not have been treated the same as if it was, Justice Breyer explained. Justice Stevens also dissented, joined by Ginsburg, Souter, and Breyer. In his separate dissent, he argued that the Eighth Amendment "expresses a broad and basic proportionality principle that takes into account all of the justifications for penal sanctions." Ewing v. California was one of two cases that challenged the constitutionality of three-strikes laws. Lockyer v. Andrade, a decision handed down on the same day as Ewing, denied relief under Habeus Corpus from a 50-year sentence imposed under California’s three-strikes law. Together, the cases effectively prevent future Eighth Amendment objections to non-capital sentences. Ewing v. California, 538 U.S. 11 (2003). Lockyer v. Andrade, 538 U.S. 63 (2003).